There are a several ways to felt the wool. 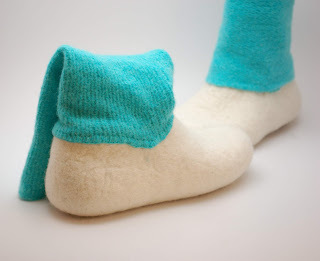 Usually I am using wet felting method - I lay loose wool fibers, wet them and rub. This time I combined this and another method - it is called boiled wool felt. 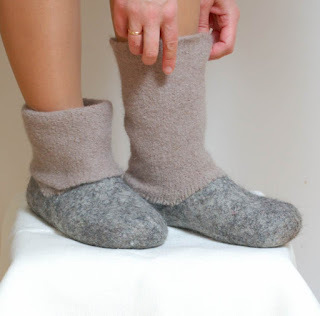 Wool must be knitted and then felted using boiling water. 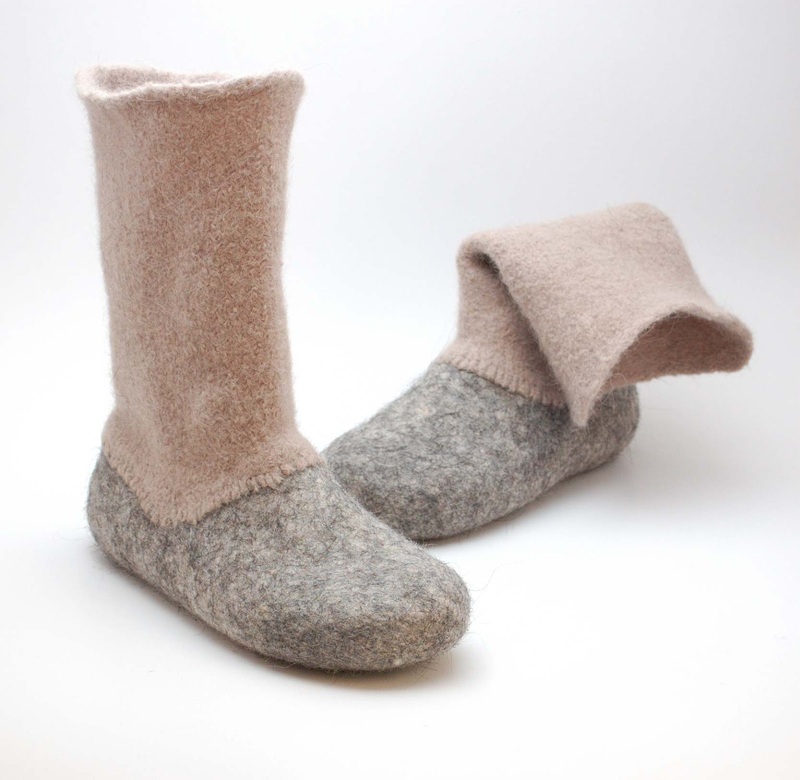 I've added boiled wool tops on my felted clogs and voila, I get slipper-boots! Do you love sheepskin boots? These are also made of sheep, but those sheep are still alive!